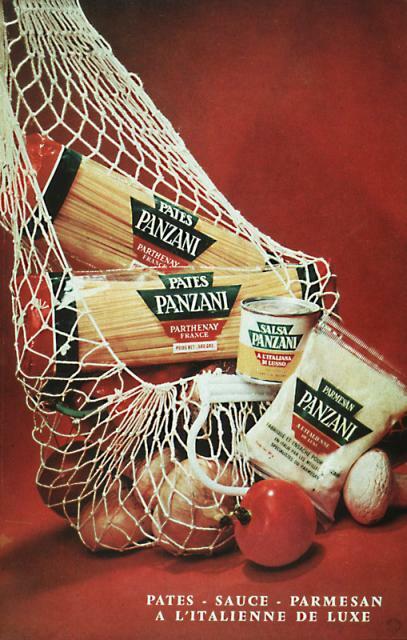 He sees two kinds of linguistic messages at work: a denoted message comprising of the caption and the labels on the produce, and a connoted message – the word ‘Panzani’ connotes Italianicity. the overall composition is reminiscent of, and therefore signifies, the notion of a still life. This is non-coded in that the image of the tomato represents a tomato, the image of the pepper represents a pepper, and so on. He remarks that in this case we have a signifier and a signified which are essentially the same – this is a message without a code. He then proceeds to look at each of these three types of messages in turn and attempts to untangle the precise nature of their operation and the relationships between them. Relay – the text adds meaning and both text and image work together to convey intended meaning e.g. a comic strip. We can’t really remove the connotations of an image and this behold a purely literal, denoted image. If we could we would be comprehending the image at what Barthes calls the ‘first degree of intelligibility’, the point at which we see more than shapes. colour and form, but instead see a tomato. This would be a message without a code and crucially, Barthes identifies photography as the only medium with this characteristic – drawing, for example, relies on all sorts of conventions and what he calls ‘rule-governed transpositions’, which essentially constitute a code whereby signifieds can be represented as pen strokes. This absence of a code reinforces the myth of photographic ‘naturalness’ (or Sontag’s notion of a photograph as a trace of the real), but Barthes rejects this idea since he denies the possibility of the purely denoted image. He identifies the specific characteristic of the ‘pure’ photograph as being an object that is here-now in the present, but which connects to something that undisputably existed in the past. He sees this as being revolutionary, as a means of eluding history. The role of he denoted image in the overall image structure/meaning is one of naturalizing the symbolic message – supporting and contextualizing the connoted elements, making them innocent. In effect allowing the image to say – “Look! I’m just a picture of a tomato! Nothing funny going on here!”. Analyzing the connotations of the image is a challenging task fraught with a number of difficulties. One of these is that each image can connote multiple meanings, we saw four earlier and there are probably more. Which ones are taken, depends on the viewer. A meaning is derived from a lexicon, which is a body of knowledge within the viewer. A single lexia stimulates multiple lexicons which may or may not be shared among viewers. So meaning is constructed not solely by the creator, but also by the consumer, and the intersection of his/her lexicon(s) with the signs contained in the image. Barthes refers to the collection of lexicon within a person, as his/her idiolect. A further difficulty with analyzing the connoted signifieds is that there is no apt language for expressing or articulating them. The common domain of signifieds of connotation is an ideology, which seems odd until one consults a dictionary and finds a definition of ideology as a “systematic body of concepts”. How do we talk about this, other than through language, which is itself a system of signifiers and signifieds, and hence subject to all the ambiguities this entails? Barthes calls the signifiers within a particular medium (or ‘substance’) the connotators. So, the connotators within an image are all the visual elements that can be used to connote signifieds. The entire set of such connotators is the rhetoric, so the rhetoric of the image is all the visual elements within an image that can be employed as signifiers. He stresses that not all the visual elements are connotators so there always remain purely denoted elements within the frame. My main issue when going through the text was a question about to what extent this approach to the analysis of images extends to non-advertising images. Advertising images have clear intentionality at their core – they are constructed to convey specific meanings and specific messages – and Barthes is quite upfront about the fact that this is why he uses one. We can use Barthes’ approach to unpack how this works, but what about other genres of photographs? For example, casual snapshots might have no intended connotations associated with them on the part of the creator, but might mobilise a particular lexicon within a viewer that constructs a very specific meaning, unintended by the creator. Does this matter? Similar questions arise with respect to documentary photographs. Are the creators of documentary images dealing purely with denotation? i.e. here is a picture of something that happened that I want to show you. Or, are they consciously (or unconsciously) embedding connotations also? 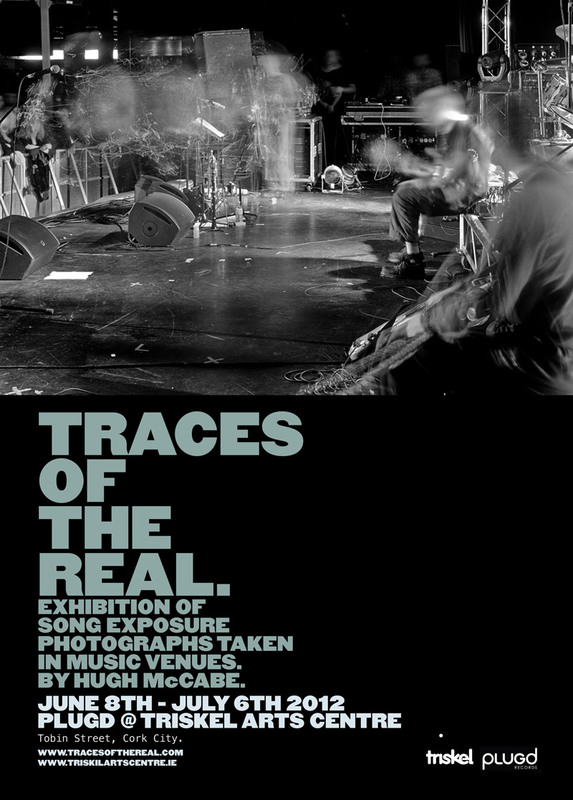 One genre of photographs that are perhaps close to advertising images in that there is clear intentionality of meaning at work, is publicity photographs for bands. They are clearly constructed to convey specific messages to the viewer and usually are trying to ‘say something’ about the group. 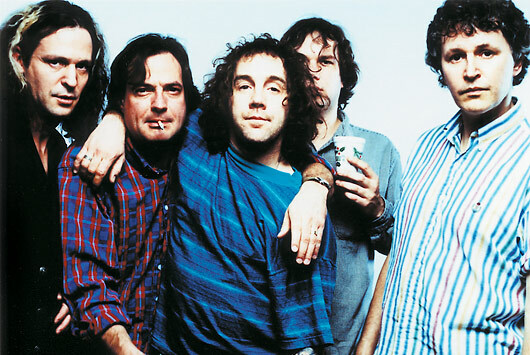 The image below is a publicity shot of the long-running (but now defunct) Ohio indie rock band, Guided By Voices. I thought it would be interesting to try and apply Barthes’ methods to unpack the messages contained in this. Firstly there is no real linguistic message associated with this, other than the caption I inserted with the name of the band. Almost certainly though, this image would have associated text in whatever context it is used. This might be text giving information about the band, a gig, a record release and so on. This text would be used as relay – in that it would be providing extra information not provided by the image itself. In terms of denoted image, we can identify a number of things here, all obvious. There are five people in Guided By Voices, one of them has an extremely ill-advised hairstyle, one is wearing a blue-striped shirt and so on. I think there are quite a few meanings at work in the connoted image also and I’ll try and pick them apart now. The composition of the band members within the shot seems haphazard, their clothing is questionable- together these signify alignment with a certain slacker aesthetic that would see itself as being very distinct from mainstream rock music. It is saying that they don’t care too much about the taking of this photograph and by extension are not to be associated with the mainstream music industry and it’s reliance on image and professionalism. The cigarette hanging out of the mouth and the stumbling posture of the two band members to the front signify drunkenness and this would be in keeping with the image of the band who were well-known for their drink-fueled performances and dissolute lifestlyes, an image they actively cultivated themselves. The closeness of the four members to the left and in particular the arm-around-the-shoulder stance signify a gang. Again, this would reflect the fact that they were a close-knit bunch of friends who grew up together. The band member to the far right however, stands slightly apart and aloof from the others. This is Robert Pollard, the main songwriter and creative force. His apartness signifies distance and difference and perhaps superiority with respect to the rest of the group, which again would be very in keeping with the history of the band – as Pollard would be the constant core of the group all through their career and write most of their giant catalogue of songs. His expression almost seems to suggest disapproval and in fact, not long after this photograph was taken, he sacked the entire band and replaced them with other musicians. The first three of these are probably conscious, intended connotations on the part of the band and/or the photographer. The last one seems more likely to be an unconscious one – unless Pollard was sending out a message that this unkempt bunch of wasters to his right were soon for the chop. I wonder though how much of the connotations I am identifying here are particular to a very specific lexicon – that concerning US underground/indie rock in general and Guided By Voices in particular. Would someone less versed in this take the same meanings from the image? This is great stuff. I have been grappling with rhetoric of the image for an essay, your summary of it is rock solid and very helpful! Cheers. Your explanation has been very helpful. Thank you so much! I wish I was as clever as you, you made this make sense! 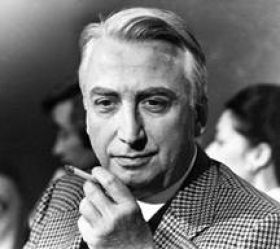 Roland Barthes’ description is a classic example of verbosity with good observation(being fair enough). This guy was a desperate Homo significan with no time for summarizing what popped up in his head. I read the original Barthes article for a college class, understood some of the basics, but still began to weep hysterically. Came across this explanation by accident while researching term definitions, and all I can say is “Thank you, thank you, thank you…” Intelligent discussion can be made intelligible. There is no need for obfuscation. Very nice summary and mini-analysis of Barthes’ text. Regarding one of your questions, there’s quite a bit of literature published about photography as a form of documentation and it’s ideological implications, (i.e. documentary photography). I’ve dabbled in photography as an articulation of ethnography in the 19th century. Very interesting within the field of post-colonial theory if you like that kind of thing. There’s also a great deal of literature on documentary film and the “fictions” of objectivity as well. “Art in the age of mechanical production” by Walter Benjamin is another great canonical text that you might be interesting in checking out, if you haven’t already. First of all, I love the exercise. Awesome idea. I did the same thing in a grad course I took in visual semiotic theory. You make a couple pretty significant errors, however, that invalidate your analysis for the most part. Here, in this last example you’re mixing irrelevant details with what should strictly be a decoding of the image (if you weren’t to have known any of these details). Second of all, another thing that strikes me is that your analysis seems ideological in its own right. You make several value judgements that are seemingly derogatory which again completely invalidates your analysis of the image as rhetoric. – “Their clothing is questionable” is a value judgement. “Questionable” in relation to what? You are implicitly taking an ideological position from the get-go. Ruins partiality. – I don’t believe “slacker aesthetic” is a thing. If it is, I haven’t heard of it before. This is an ideological position. You might personally view these individuals as “slackers” but they probably won’t self-identify as such. I don’t see the signified here in the context of “someone who doesn’t have work ethic.” The signifers do indeed indicate an “aesthetic” that runs contrary to the ideals of dominant culture, (i.e. messy, disheveled, etc.) thus connote “the subversive”/”non-conformist”,etc. I agree with the first part of this completely. The “professionalism” part is a value judgement and is irrelevant. It is ironic now that the market has appropriated the aesthetic of “the alternative”, isn’t it? If this were a photo taken in the early 90s, the signified would carry the connotation of “the alternative”. Now in 2016, these signifiers in the image here could connote “the mainstream” despite the subjects in the photo not wishing to do so. The rest of the analysis is pretty good although there is more to be said. Cheers.